Callington Haven Pvt Ltd is an Australian owned and operated company that has served the global markets for over 30 years, exporting to 37 countries. 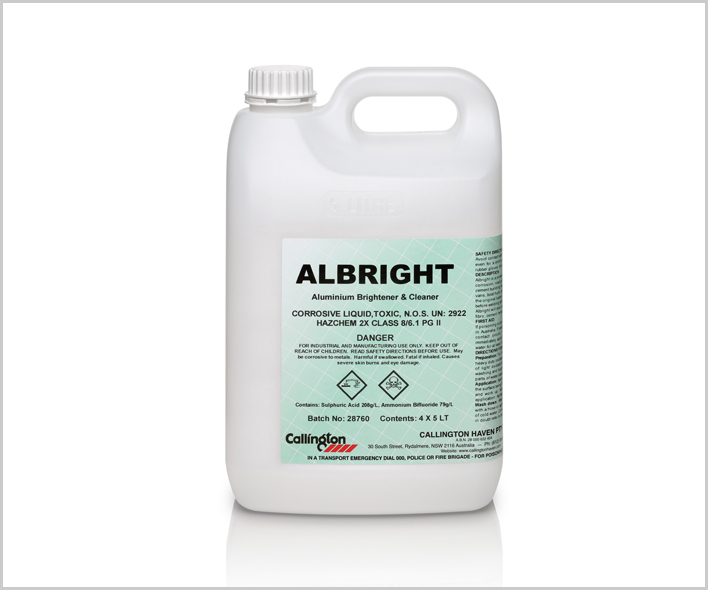 We offer a range of products for the processing of aluminium surfaces pre and post welding. They are available in either a gel or liquid from to best suit your need. 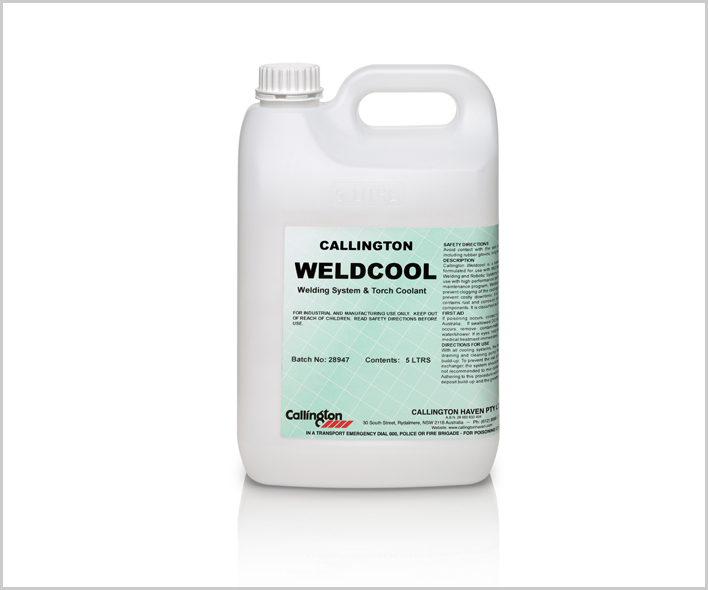 From preparing surface prior to welding or to rebirth tired and oxidised surface Callington has the product to do the job. 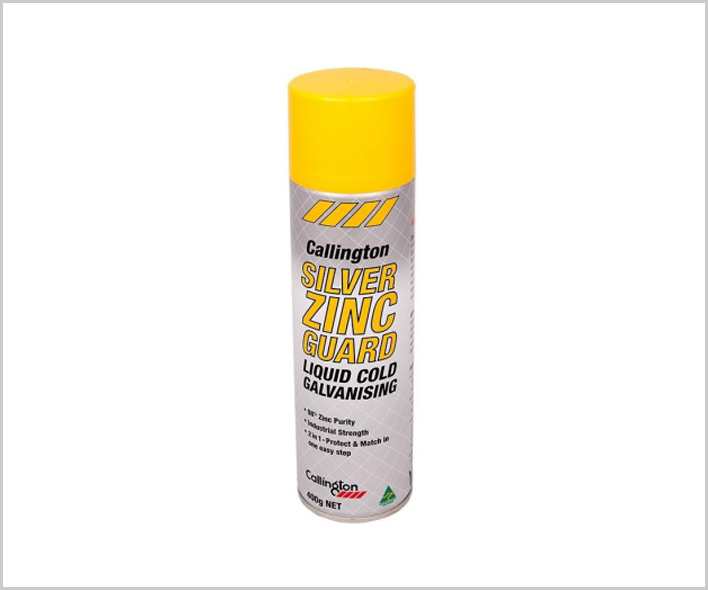 Callington has a range of industrial aerosols specially formulated for specific industries and applications. 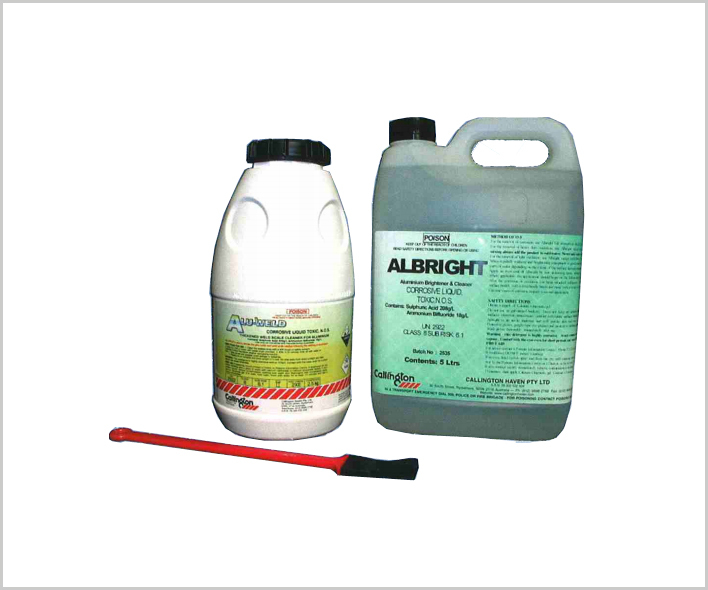 they are scientifically formulated, laboratory and workshoptested these products have been designed to meet the needs of the professional tradesman and the serious DIY user. Calguard Anti-Spatter Spray is water based, paintable, cost effective and non-flammable agent for the prevention of weld-spatter adhering to metal surfaces during the welding process. 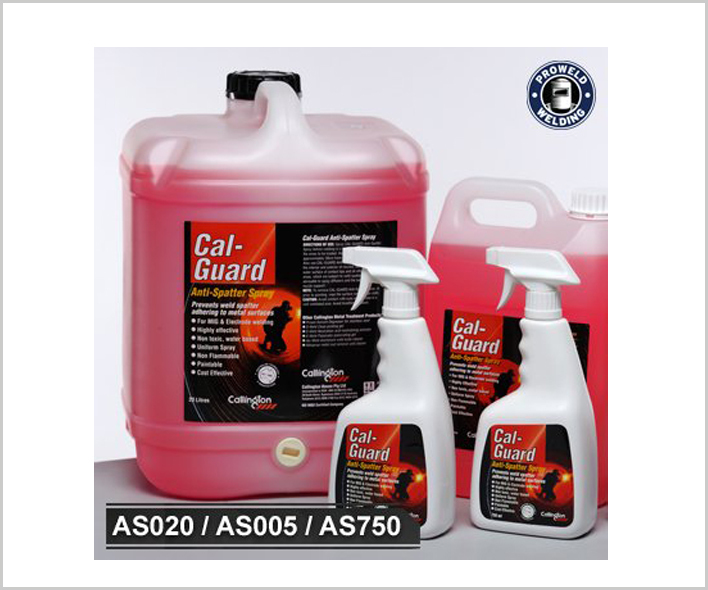 Calguard Anti-Spatter Spray has outstanding performance preventing spatter sticking to a wide range of steels, including mild steel, stainless, steels and aluminium. Calguard Anti-Spatter Spray avoids the need for mechanical abrasion or grinding of weld spatter following welding. 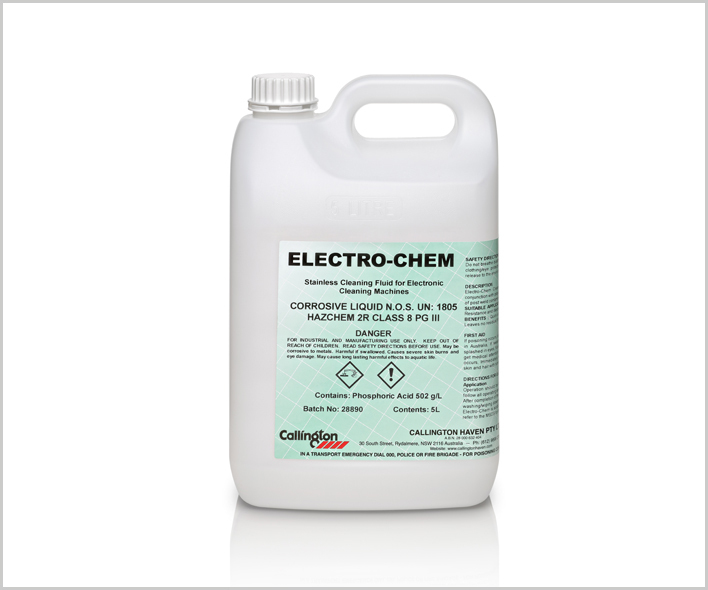 It contains corrosion inhibitors for base metal protection. Calguard increases the life of torch components saving time and money. 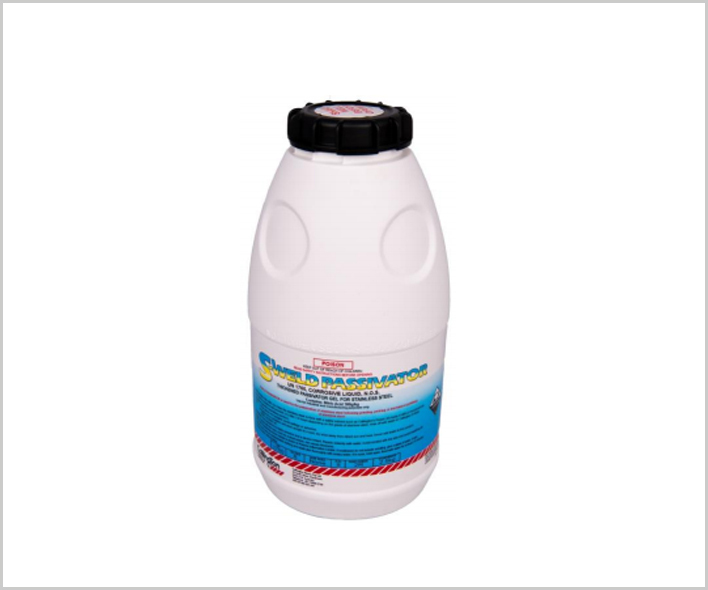 Eliminates spatter build up which results in poor gas flow causing pitting, porosity and burnbacks. Conforms to ASTM A967 Chemical Passivation Treatments for stainless steel Parts. S-Weld Passivator is a powerful oxidising gel for the passivation of stainless steel, duplex steel and inconel alloys. S-Weld Passivator can be used following pickling, grinding or mechanical polishing of stainless steel to ensure a passive surface is obtained prior to installation or commissioning of the final product. 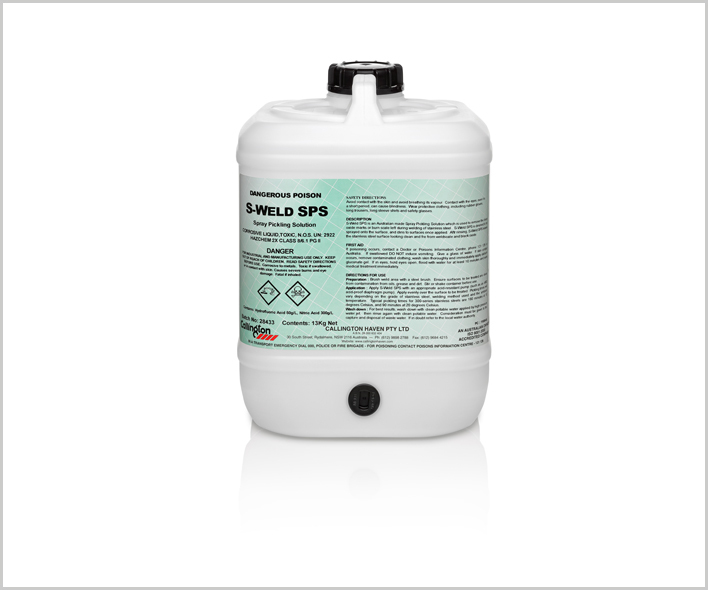 Conforms to ASTM a380-06 Standard Practice for Cleaning, Descaling and Passivation of Stainless Steel Parts, Equipment, and Systems S-Weld SPS is a unique spray pickling solution that provides excellent working properties for the pickling of stainless steel. Its red colouring allows the operator to know exactly where the product has been sprayed on the stainless surface or if it has been washed down completely. Conforms to ASTM a380-06 Standard Practice for Cleaning, Descaling and Passivation of Stainless Steel Parts, Equipment, and Systems Weldbrite utilises innovative Australian technology for the formulation of a high adhesion stainless steel pickling gel for pickling applications It is used to remove the black oxide marks or burn scale left during welding of stainless steel. This product conforms to the international standard, ASTM A380-06. The standard practice for cleaning, descaling & passivation of stainless steel parts, equipment & systems. After use of Weldbrite the weld area should have the same look as the rest of the steel being used. 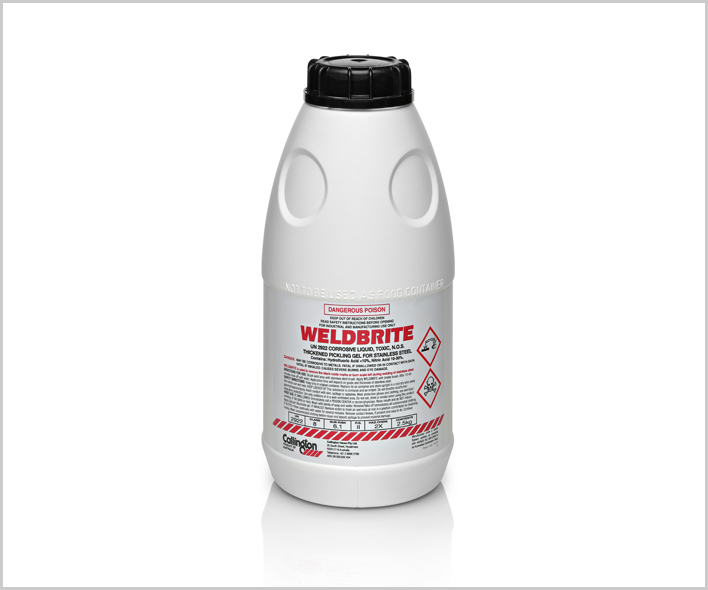 Weldbrite leaves a clean professionally finished stainless steel weld area, free from contamination. The Silver Zinc Guard is a fast drying, high solids, and high performance epoxy zinc rich coating designed to protect steel against corrosion and at the same time impart a silver appearance to the overall finish. 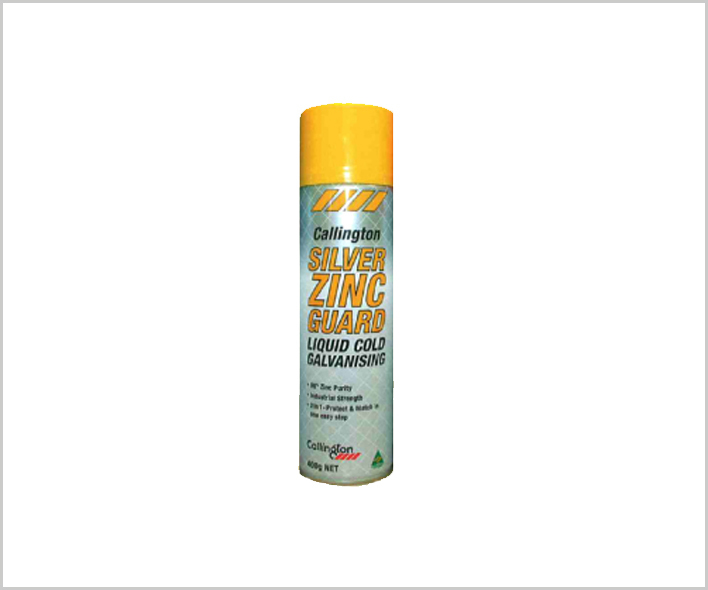 The Silver Zinc Guard imparts corrosion resistance via inhibition, (presence of epoxy binder and metallic pigment) and sacrificial protection (via zinc dust). The Silver Zinc Guard is ideal to touch up and hide welded joints on metal structures and is suitable on all types of ferrous (mild and heavy gauge steel) substrates. 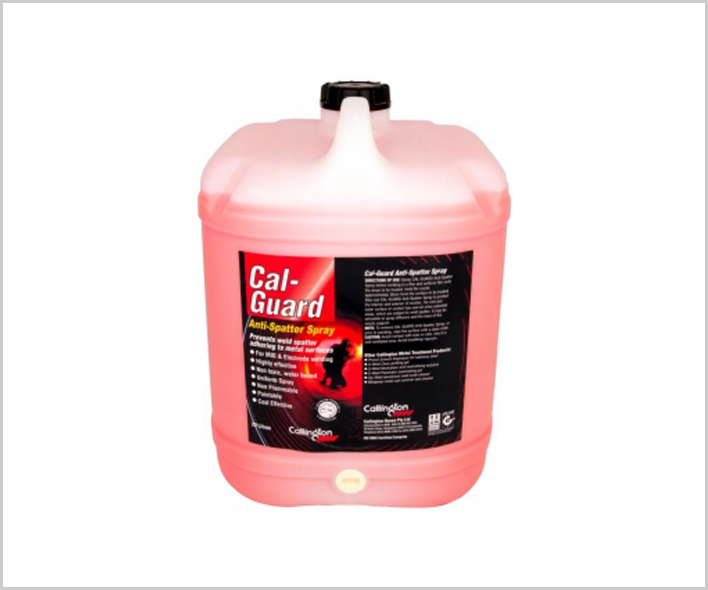 Cal-Guard Anti Spatter Spray is a water based, paintable, cost effective and non-flammable agent for the prevention ofweld-sp[atter adhering to metal surfaces during thewel ding process. Cal-Guard Anti-Spatter Spray has outstanding performance preventing spatter sticking to a wide range of steels, including mild steel, stainless,steels and alum inium. 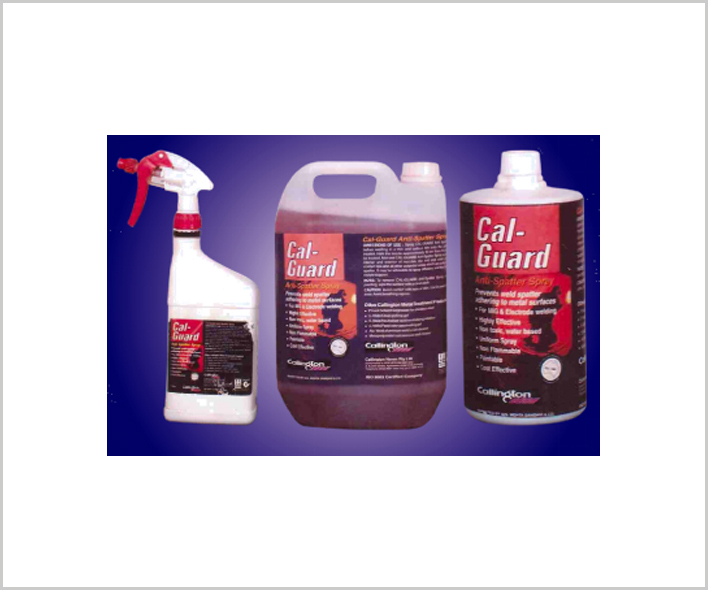 Cal-Guard A nti-Spatter Spray avoids the need for mechanical abrasion or grinding of wel d spatter following welding.